Posted April 16, 2017 by Rob Smedley & filed under Episodes. Good news! After a week of worry, it’s with great relief that we learn Steve Arnott is not dead and that his wardrobe of snazzy-backed waistcoats will not have to be distributed among the local charity shops (there’s too many for just one Scope to handle). It’s the biggest Easter miracle since Jesus came back from the dead to fight crime. But after last week’s shocking end, the nation is shaken. The nation needs comfort and reassurance and someone to look evil in the eye and call it ‘fella’. The nation needs Ted Hastings. But more than being Papa Policeman, Hastings is damn good at his job, and nowhere is this more evident than in those interviews scenes. Jed Mercurio has turned people talking at a desk into an art form, and each new exchange is a masterpiece. First up: Nick Huntley and his smart-arse lawyer. Hastings is having none of that smug dickhead’s nonsense. ‘Dial down the Ian Paisley’? HOW VERY DARE YOU, FELLA. Hastings is keen to get to Huntley’s connection to Arnott’s attack and fall, then moves on to Huntley’s car being outside Tim Ifield’s flat. It doesn’t lead to anything concrete, but it does leave Huntley rattled to the point he has to crawl into a bottle and confront his wife. He followed her to Tim Ifield’s flat, thinking that she was having an affair. Roz says she was, presumably because falsely admitting to infidelity is easier than telling your drunk hubby that you woke up under an electric saw and then killed a man. But there’s more to Roz and Nick’s relationship than meets the eye. She slaps him about with her one good arm (I’m amazed she was able to get a GP appointment that quickly – my arm would’ve dropped off before I’d get in to see mine) and says she’s protecting him. Could Nick still be Balaclava Man, aka KnitFace? Looks like it. But all of Hilton’s help can’t keep her from an appointment with a table, a tape recorder, and Ted Hastings. Roz is brought in for an AC-12 grilling, and a grilling she gets. Hastings relentlessly drills down through the mismanaged evidence, the assumptions and accusations, the leaps of logic. It’s Ted Hasting at his best and most righteous and its thrilling to see. 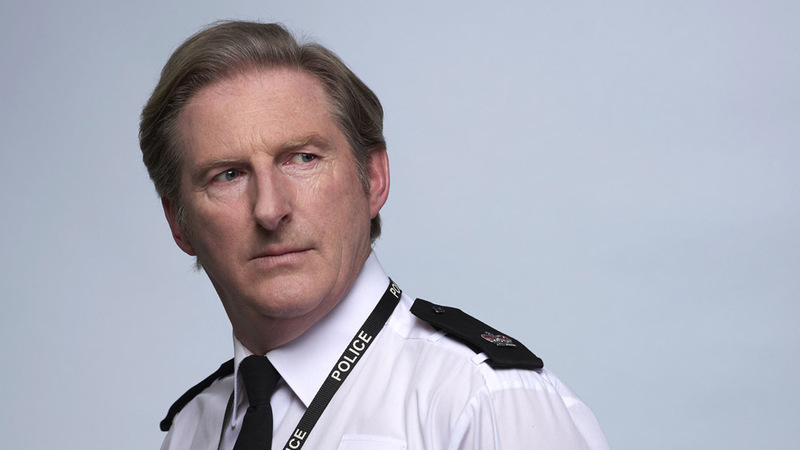 AC-12’s case against her is so strong that it almost looks like Line of Duty 4 is about to wrap up early. And then, with stunning rapidity, Roz turns the table on Ted and his whole investigation. The interviewee becomes the interviewer as she accuses him of sexism in managing AC-12’s investigations, prosecutions and promotions. 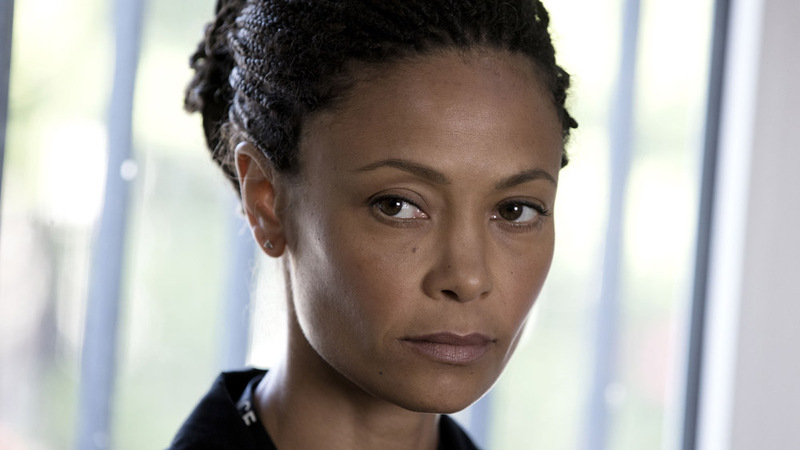 Thandie Newton does cold and calculating so bloody well that I actually hate Roz. All credit to Ted, he stands up to it well but it’s bizarre to see him rattled. It’s like, well, seeing your dad rattled. By the end of the interview, Roz has turned the tables and done so at breakneck speed. Kate’s cover is blown. Hastings looks defeated. AC-12’s investigation is on the rocks. And we’re forced to consider the possibility that good ol’ Ted might not be as good as we’ve always thought. Is he a sexist dinosaur, or is he just the victim of statistics? What I really love is that no one in Line of Duty is clean, not even beloved Ted. This isn’t a show that shows people not as good and bad, but bungs them all on the greyscale spectrum of morality. Sure Ted Hastings has some old-fashioned terminology, darling, but in a world where people are covering up murders and twisting investigations, not using gender-neutral language is a lesser crime, although The Guardian probably won’t think so. He’s flawed, but I’m still resolutely #TeamTed. And after resolutely destroying him, we’re left to wonder where Roz got all that intel on AC-12. Who’s been feeding it to her? Turns out it’s Hilton. And where’s he getting that info from? No. No no no…why Maneet, why? Do you need the money for the new sprog that’s on the way? Did Ted Hastings once say something sexist at you? Were you passed over for promotion? Of all the big reveals that the show has had over the years this one feels like a real punch to the gut, just because we’ve come to like Maneet (Maya Sondhi) as she’s played a small but vital role in the show’s past two seasons. 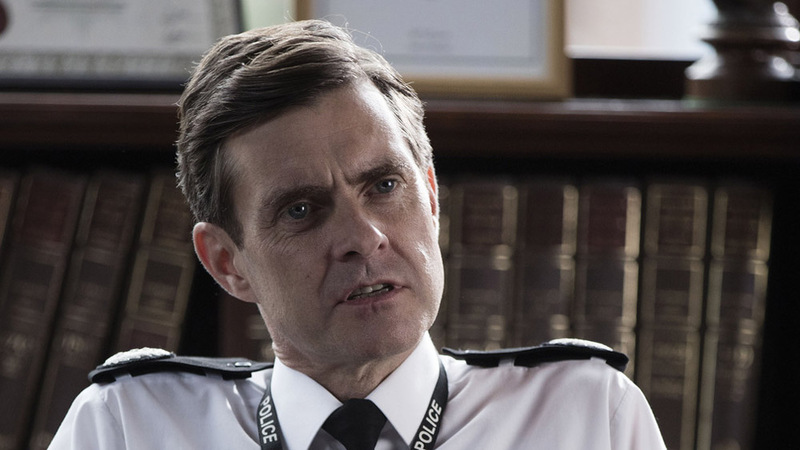 So, feeling confused and abused, we leave Line of Duty for another week with that old familiar feeling: an insatiable craving to find out what’s going to happen next week. This really is the best thing on TV. Aired at 9pm on Sunday 16 April 2017 on BBC One. Pre-order Season 4 on DVD on Amazon here.